ATLANTA, Nov. 9. 2018 /PRNewswire/ — Brown Sugar, a subscription-video-on-demand service operated by Bounce and featuring the biggest collection of the “baddest” African-American movies of all-time, is now available over the Internet on Comcast’s Xfinity X1. 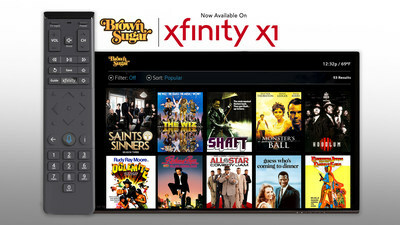 Xfinity X1 customers can subscribe to and access Brown Sugar’s extensive library of iconic black movies by saying “Brown Sugar” into their X1 Voice Remote, or by finding it within Xfinity on Demand’s curated Black Film & TV destination or networks section. 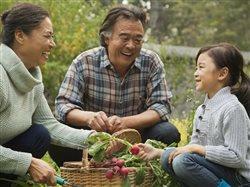 Brown Sugar can be added to X1 customers’ service for a seven-day free trial period and then for $3.99 per month thereafter. Critically acclaimed films like Monster’s Ball featuring Academy Award®-winning actress Halle Berry and the 1967 classic Guess Who’s Coming to Dinner, starring the legendary Sidney Poitier. Popular “Blaxploitation” movies such as Super Fly, Dolemite and Cleopatra Jones. Other classic films such as Hollywood Shuffle, Sparkle, and Richard Pryor: Live on the Sunset Strip. Complete seasons of hit Bounce series including Saints & Sinners, Family Time, In The Cut and more, along with exciting events such as the boxing series Premier Boxing Champions. Streaming documentaries featuring music’s greatest icons including Beyoncé: On Top, Prince: Purple Reign and Michael Jackson: The Journey. Brown Sugar is also available on Apple TV, Roku, Amazon Channels, Amazon Fire TV, Amazon Kindle, Android and Apple smartphones and tablets and web browsers via BrownSugar.com. Brown Sugar is operated by Bounce, the fastest-growing African-American network on television; both are part of The E.W. Scripps Company (NASDAQ: SSP).